UNB’s Rina Arseneault is headed to the United Nations to share her expertise on family violence with representatives from across the globe. Ms. Arseneault, associate director of the Muriel McQueen Fergusson Centre for Family Violence Research (MMFC), has been invited to join the Canadian delegation at the 62nd session of the Commission on the Status of Women. The session will take place at the United Nations headquarters in New York from March 12–23. She will be one of 12 leaving from Canada next week to join Canadian delegates already in New York as well as representatives from member states, UN entities and non-governmental organizations from around the world. Delegates at the session will discuss issues and action items around this year’s theme: challenges and opportunities in achieving gender equality and the empowerment of rural women and girls. The issue of access to services and programs for women and girls in rural areas, like rural New Brunswick, is of particular interest to Ms. Arseneault, whose past research has examined access to the justice system for women who have experienced intimate partner violence. The session is an opportunity for delegates to share knowledge between countries on the lived realities of women and girls around the world, look at best practices and learn from each other with the goal of setting actionable outcomes to improve lives. This will be her first time attending a session at the United Nations. She was selected to join the Canadian delegation by a committee at Status of Women Canada after being nominated by the MMFC. Ms. Arsenault has been widely recognized as an activist and educator on family violence, intimate partner violence and violence against women and children. 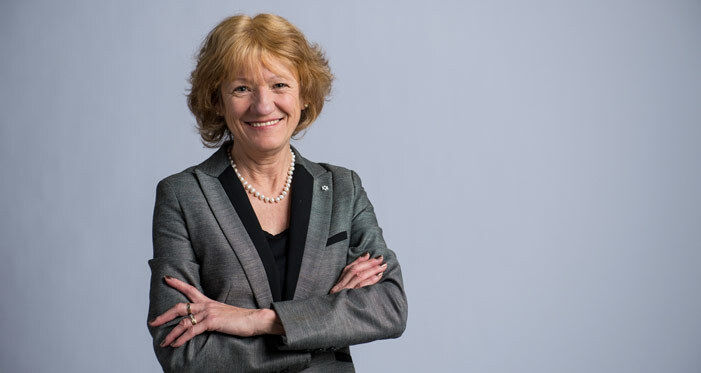 She has received numerous honours throughout her career, including being named to the Order of Canada in 2013.